I am 23 years old and pregnant with my first baby, my husband is indian from the caribean and im a kentucky southern redneck, it makes for a very funny relationship. Where I live we are the only mixed indian family and I have no refrences to go off of. So my question is, does anyone know where I can look this up and possibly see pictures or somethin its about to drive me crazy!!!!! I am white and my man is african american and cherokee indian. So it should be interesting. I keep trying to find pics that may look like what our baby will, but I agree its hard. for fun, i sometimes try to wikipedia bi-multiracial people. my bf is of greek origin and i am black from the west indies. in montreal, it's pretty common to see biracial children so i have an idea of what to expect. i can't tell what your child may look like but if i'm not mistaken, there are many famous people who have a mixture of white and indian. i just love the fact that cultures are blending! I am sure that your baby will b ebautiful. I have 2 Indian (from India) friends with kids..and they are really cute. One is married to an Iranian, and the other to a Greek. I have also noticed, in general, that bi-racial children tend to be quite beautiful.Have you tried to google bi-racial children with Indainand white, or something like that? I think its so great that we have such diverse children!!! So our children have 3 of the 5 civilized tribes in them as well as some caucasian! Hi, first of all, CONGRATULATIONS!! I'm Tara, I'm 26 and pregnant for the first time(7 mo), I came across your post. My mom is Irish and German and my father is from India so here I am a half-indian child. The best advice I can give you is to try to avoid and protect your children from negative comments from family members (even though 99% of the time they are well intentioned) there is no need for others to tell your kid they're different, they know that. All in all I think it has been a huge benefit to grow up with two cultures! So I have some baby pictures online, not of me, but of my cousins who are also half-indian if your interested let me know! my son is bi racial. He is half black and half mix mut white lol. THe thing I have found is that you NEVER know when you mix racial features which will be more dominant. There is such a wide range of kids like my son and they all look soooo different. Your not alone in wondering what your kido may look like. Im dieing to know what my little one will look like. I have anoughter kido with my husbad so I think I have a clue but I have a sneaky feeling this one will look more like my husband this time around. MY daughter is a total mini me. 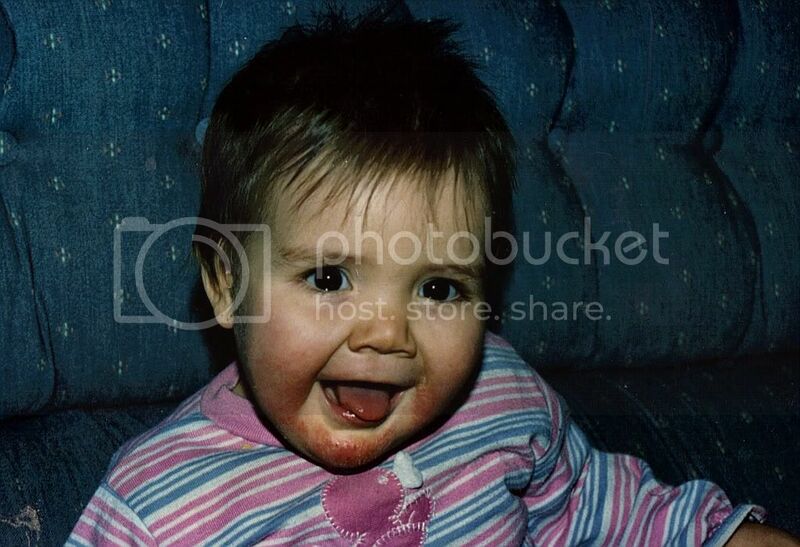 Her childhood pictures could literaly be lost in my baby book its almost erry. I agree with a prior poster. Sheild your little one from well meaning family comments. My mom bless her heart never raised me to see color and low and behold my son is FULLof color lol. Thing is when I got pregnant she was concerned with how he would fit into society and made this comment many many times. the first halloween he participated in he went as a little dalmation puppy. he loved firefighters and fire puppys... it was fittig. MY mom the whole evening kept telling neighbors hings like &quot;yes isnt he adorable a little black and white puppy dog so fitting yes?&quot; while she was meaning well it was a tad racial in my eyes. That night was the first night I ever stood up to my mom. SHe changed her tune and never said a thing like it again and he has fit into society just fine. Congrats!!! I too was anxious with my daughter. My husband is from Croatia and is very European looking. My daughter is a spitting image of him. She's beautiful!! I am 7 months pregnant with a little boy now and I am anxious again to see if he'll look like my daughter or look like me more!! Good luck and enjoy your baby! !